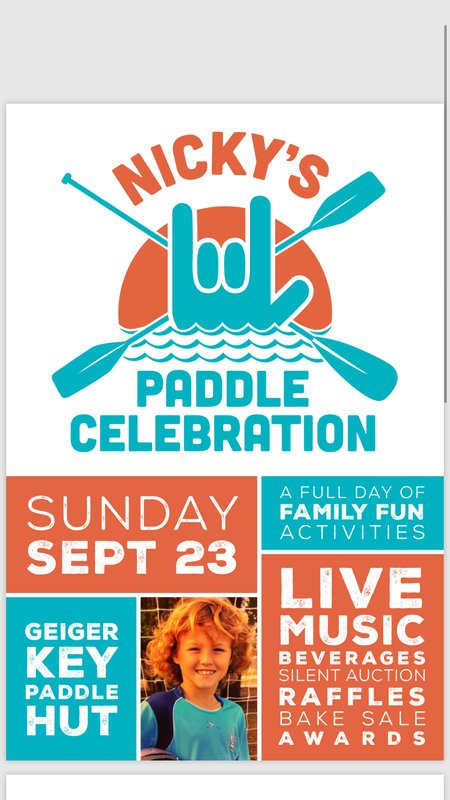 2nd Annual Nicky’s Paddle Celebration! 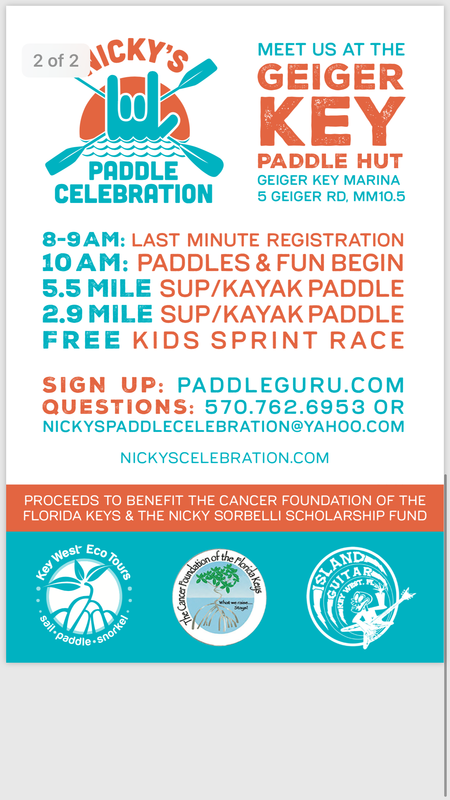 Join us for a fun-filled day to remember and honor the memory of 10 year old Nicky Sorbelli who inspired so many to seize the moment and make the best of EVERYDAY. The day will be filled with 2 Paddle Courses (a short and a long course), kids and adult kayak and stand-up-paddlebaloard (SUP) adventures along with a kayak and SUP ukulele jam. LIVE Music & great food and beverages at the scenic Geiger Key Marina, Key West, FL. Need to Rent a SUP/Single Kayak/Double Kayak?